The global battery storage market (not including car batteries) will surge to 240 gigawatts (GW) and $400 billion by the year 2030, according to a new report from the prominent investment bank Citigroup. The main drivers of this growth, according to the report, will be a reduction in battery storage system costs to $230/megawatt-hour (MWh) within the next 7–8 years, and growth in solar energy generation — which will combine to make the technologies financially attractive to growing numbers of countries. This will then result in a “virtuous circle” of dropping costs — lowering system costs toward/below $150/MWh, making subsidies unnecessary. According to the report — Dealing with Divergence — the only thing standing in the way of huge growth in the battery storage market is the still relatively high cost associated with its use. 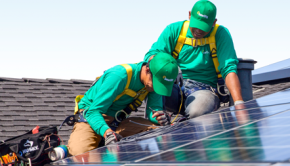 According to Citigroup, though, the market is likely to see a similar growth trajectory in the next few years as that seen in the solar energy market over the last few — with a similar cause: falling costs lead to increased deployment, and increased deployment then leads to further falling costs. Worth noting is that despite Citigroup’s prediction that many energy users will be able to become “energy self-sufficient,” it didn’t expect to see the utilities experience huge losses. Our key takeaway when thinking about solar distributed generation and battery storage and the impact on utilities is that we do not ascribe to the notion that solar is the death of the utility model. We see winners (ie regulated utilities who will earn a fair return on what they spend including transmission and distribution wire related expenditures, which will increase as more renewables are built) and losers (ie certain unregulated/ hybrid utilities whose outlook is predicated primarily on the economic dispatch of power generating assets) within the US utility sector. Our key takeaway is that US utilities will eventually adapt and join the party. Also worth noting is that the battery storage technology that the group expects to see huge growth from is lithium-ion battery technology, not emerging ones (Li-S, Li-Te, etc).